A Wii Phone from Nintendo? C’mon; this seems a little far fetched, or is it? Recently we’ve seen the iPhone, rumors of a Zune Phone and now this. According to T3 there is a distinct possibility that Nintendo may be coming out with some type of phone combined with the console remote. There had been some rumors last year about adding a microphone to the controller, and Nintendo has been taking advantage of internet based services with the Wii console, lately. This combination could possibly lend itself nicely to some type of VoIP service. kool idea. needs work and slimming down. maybe someday. i like it, being a nintendo fan myself lol, but like b4, just needs slimming down. I actually happened to be scrolling through Nintendo patents on Google Patents and saw some phone stuff… didn’t pay much notice. I think it might be a bit lame myself. Honestly, a nintendo phone? Sum 1 Photoshopped the hell outta a pic of a wii controller…nice try bu8t i did actually see sumthing about a nintendo phone in Game informer…maybe its true…. That photoshopped controller isn’t far off actually, remove the LEDs and the – + and home buttons. add one big button in place of those, and a mouthpiece instead of the LEDs and that’s about what Nintendo have drawn. From what I can see I would guess this is probably just another one of the ideas Nintendo is exploring. It could possibly be that they will release it as a handheld games console/ mobile phone. There is definitely a registered patent with Satoru Okada (general manager of Nintendo Research & Engineering, the division designing and developing Nintendo handheld game consoles) as one of the inventors. and i thought iphone was stupid….. not! WELL IM SUCH A NINTENDO FAN!!!!!!!!!!!!!!!!!!!!!!!! I WANT MORE INFO!!!!!!!!!!!!!! ABOUT DA COST!!!!!!!!!!!!!!!!!!!!!!!! ILL PAY THOUSANDS!!!!!!!!!!!!!!!! I WONT CARE!!!!!! i am a fan of nintendo but if you go far enough to make a phone something is wrong. nintendo a cell phones just don’t go together. the wiiphone sounds really cool, but its shape ans size is just a little bit uncool. the iphone is the bezt thing i have evrn seen, lets see if the wii phone can top that!!! i’ma get one when they come out though! 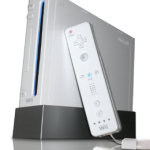 Shat thats awsome man i love it and all can it be used as a wii controller hu what um who….. ahhhhhhhhh!!!!!!!!!!!!!! I think its just a random image the editor looked for , just to add tot he article. If nintendo is doing this, then it prolly wont look like this. But, who knows? WOW i am really excited! when is out and how much is it? I don’t even care if its slim. and by looking at that photo it does not look like its for texting. I’ve been looking for the iphone or at least ipod touch. like many people, i’m a big fan of nintendo. by the picture I saw of the wii phone, I’m thinking there is going to be a whole new generation of wii stuff going on. again, the iphone looks a bit better in my opinion. Is the wii phone compatible with texting? Does it do speakerphone? These are the things I look foward to for the iphone.